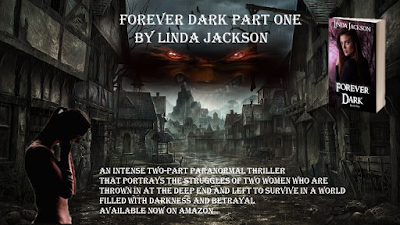 Forever Dark: What is the main character like? Camilla is a fairly ordinary girl, one who had aspirations of travelling the world with her friends but unfortunately her plans got cancelled. Her parents were murdered brutally while she was on a girls night out and it changed her life forever. Being of legal age, the house and its contents had been left to Camilla and her brother Ethan, and so had a mountain of debts. Her brother took their death badly and disappeared leaving Camilla with the heavy burden. She had to take the first job she could find to pay the piling red letters, and was left alone in the house where her parents died, haunted by the red splashes that covered their bedroom wall every time she walks past even though it had been cleaned long ago. Camilla feels so alone and in despair each time the postman calls, an all too familiar feeling most can relate to. She has no idea of the secret life that had been lived right under her nose and despite her first encounter with the strange man being terrifying, it was also a little invigorating for her, a break from the depressing hole that she has fallen into. We can all identify with hardship, loneliness and loss but for Camilla it becomes so much more. She isn't strong or clever but she is determined. Even at her lowest points when giving in would be easier, she chooses to struggle on in the hope that a silver lining is waiting. Yes, she does make a number of bad choices, but don't we all at some point? Every time Camilla thinks she's up to speed with the bombshells dropped on her, something new comes along to turn her world upside down. If ever there was a test of faith to be had, Camilla is first in line for the task. She has her own strength that is not portrayed in battle but rather in morals. She values those around her even if they are undeserving and she will do all she can to keep them breathing, including sacrificing herself to punishment. Do you consider her to be weak? Or an inspiration to us all? What do you think of my poster design for Forever Dark? Who is the hottest guy in Forever Dark?